The leading stain removal brand ACE, which is distributed by Robinson Young, now includes ACE Colour Powder, a new format of its best-selling product, ACE for Colours. The new line comes in a 450g Tetra Pak box, which has been designed to drive down unnecessary plastic use, use less shelf space and be easier and lighter to ship. 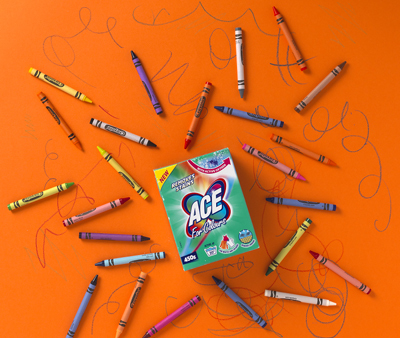 Suitable for most fabrics, ACE Colour Powder removes stains and bad odours on whites and colours, in addition to deeply cleaning garments with active oxygen. Shirley Peet, marketing manager at Robinson Young, comments: “When it comes to stains, everyone wants a product that will do the job, achieve great results but with minimum fuss. ACE Colour Powder is a major innovation for the stain removal brand.